The new Tax Cuts and Jobs Act “TCJA” has raised numerous questions for employers, ranging from how to adjust employee withholding to how to take advantage of the new pass-through deduction. The TCJA allows for a deduction of the lesser of 20% of taxable income or 20% of pass-through income if it meets the test for “qualified business income” (“QBI”). [I] In Louisiana, pass-through entities include partnerships, limited liability companies, and S corporations, and this deduction could potentially be a significant boon to small businesses who fall within one of these categories. The deduction itself has been the subject of much discussion, as it represents a significant change in the tax liability for businesses across the country. But even if your business is not a pass-through, you need to be aware of the deduction. You may wish to determine whether your business could take advantage of the pass-through deduction going forward, and perhaps, the deduction may incentivize employees to establish themselves as independent contractors, a hot topic for the IRS, and both state and federal labor departments in recent years. Should any of your employees seek to re-classify themselves as independent contractors, this could have significant repercussions. An employer must be mindful of all of these tests, as a misclassification under any of them could result in liability. If an employer has been found to have misclassified workers, it could be liable under Louisiana law for back taxes on unreported wages and penalties of up to $1,000.00. This does not include the potentially significant penalties imposed by the IRS, including 40% of the FICA taxes that should have been withheld and 100% of the matching FICA taxes the employer should have paid, with interest accruing daily from the date the taxes should have been deposited. A misclassification under the FLSA could result in penalties imposed by the Department of Labor, and former or current workers could sue an employer for unpaid overtime on the basis that they should have been classified as employees, not independent contractors. Before you determine that employees can label themselves as independent contractors, be sure to consult a labor and employment attorney to determine whether your business would allow for that arrangement. 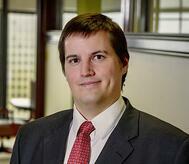 Dominik J. Cvitanovic, an associate in the firm's New Orleans office. [I] QBI is determined on a per business, not per taxpayer, basis. [II] Independent Contractor (Self-Employed) or Employee?, available at https://www.irs.gov/businesses/small-businesses-self-employed/independent-contractor-self-employed-or-employee. [III] Louisiana even has its own multi-factor test pursuant to La. Rev. Stat. 23:1472(12) under which courts consider the principal’s control, the locale or type of service, and whether the worker is customarily engaged in an independently established profession. See Contract Management Services, Inc. of Texas v. State ex rel. Dept. of Labor, Office of Employment Sec., 98-2010 (La. App. 1 Cir. 11/5/99), 745 So. 2d 194, 199.